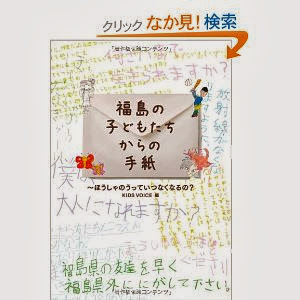 「何歳まで生きられますか」Fukushima kid asking, "How old can I live?" 「福島県の友達を早く福島県外ににがしてください」"Please free my Fukushima friends out of Fukushima!" The followings are the detailed description of each question. In Fukushima before the accident, the average air dose was only 0.038mSv/h according to MEXT, but now the figures are dozens or hundreds more due to radioactive particles emitted from the reactors. The Japanese government upper limit of 20mSv/yr is equivalent to 400 times of X ray, and not only this gamma ray increase, children have no choice other than breathe in radioactive particles including alpha and beta particles which cannot be measured　on the spot. I hear children living in these environment say, “Until what age can I live?” “I don’t think I can marry someone in the future,””I know I will become sick and die, don’t I?”What do you think of this abnormal and cruel situation? Don’t you think IAEA should at least relocate Fukushima kids? In February 2013, three children in Fukushima have already gone through thyroid cancer operation and seven others are also high suspected out of 38000 examined. According to National Cancer Institute, the thyroid cancer rate among children under 18 were 0.6 out of 100,000, so this number is 13 times higher at minimum and 44 times higher at maximum. Don’t you think IAEA should make a recommendation to evacuate children from contaminated areas facing this grave situation? Or are you going to keep ignoring this fact as in the case of Chernobyl where a vast number of children got thyroid cancer eventually? Below is the latest Fukushima Prefectural Thyroid Examination Report. Please look at the page 11. In November 2012, the secret committee case was revealed, in which members were told not to reveal the existence of the meeting and Q&A practices were conducted to deny the causal relationship of radiation effects before the announcement of the first child thyroid cancer patient was announced in Fukushima in September 2012 (http://enenews.com/govt-held-inappropriate-secret-meetings-about-human-health-impacts-from-fukushima-crisis), and eventually, Dr. Shunichi Yamashita, the committee leader apologized on this incident (http://mainichi.jp/english/english/newsselect/news/20121119p2a00m0na017000c.html). Don’t you think this is such a grave matter so all the related persons should be dismissed from the Fukushima health examination team? On the contrary, Dr. Shunichi Yamashita, who has been gathering the most criticisms from the citizens by nuclear accident affected areas, was honored with “Dr. Takemi Memorial Award” (Dr. Takemi is the name of former president of Japan Medical Association and also World Medical Association) in December 2012. This simple fact shows how medical associations are corrupt with interested groups. Dr. Yamashita was also chosen as the speaker for Warren K. Sinclair Keynote Address (Dr. Sinclair is the NCRP President Emeritus) on this coming March 11, 2013, 2 years after the nuclear accident. Isn’t it very strange that Dr. Yamashita even got awards such as after this incident? In Dr. Shunichi Yamashita's March 11 speech (See page 64 of http://www.ncrponline.org/Annual_Mtgs/203_Ann_Mtg/Yamashita.pdf) Liverdysfunction and hyperuricemia were increased among young male and hypertension, glucose dysmetabolism, renal dysfunciton were increased among adulthood especially aged people. However, Dr. Yamashita attributes these symptoms to solely change of life styles and mental stress groundlessly, never mentioning the possibility of radiation effects. These symptoms along with many other diseases were commonly observed in contaminated Chernobyl areas. Even in the registration for A-bomb diseases with much less exposure to radioactive materials, not only thyroid cancer, but also all kinds of malignant tumors, leukemia, hyperparathyroidism, cataract, myocardial infarction, hypothyroidism, chronic hepatitis, cirrhosis are included. IAEA is highly suspected to have limited the scope of health hazards to give advantages to nuclear industries. Does IAEA have any intention to review this most important issue in a fair and comprehensive manner and to come up with recommendation to cope with the already emerging health problems and to prevent further health disaster? It is a very scary fact that a doctor like Shunichi Yamashita is the President of the Japan Thyroid Association and Director of the WHO Collaborating Center for Research on Radiation Emergency Medical Preparedness and Response Network. He was the one who told Fukushima residents, “It is no problem to be outside until the air dose will reach 100 micro Sv/h,” and corrected himself 10 days later on March 22, saying, “It was 10 micro Sv/h, not 100 micro Sv/h. I apologizes.”Most of all, Dr. Yamashita still denies the causal relationship between radiation and dozens of times increased children’s thyroid cancer in Fukushima. There are many people who feel strong resentment on Dr. Yamashita and likewise scholars/doctors who are in responsible for Fukushima health examination system. What is IAEA’s opinion on this? Why did IAEA appoint Dr. Itsuzo Shigematsu as the chairman of the International Advisory Committee for the Chernobyl Project though he had already been quite notorious as an unscientific scholar who always took the side of the government for various cases, including Hiroshima/Nagasaki radiation exposure, Minamata, Itai-itai disease, etc. Did IAEA purposely hire him to protect the government and industry side? In addition, in 1991, Shigematsu stated that there was no health damages caused by radiation apart from radiophobia and that the relocation standard should be loosened. Why hasn’t IAEA made any formal apology on this mistake made in 1991 by Dr. Shigematsu? 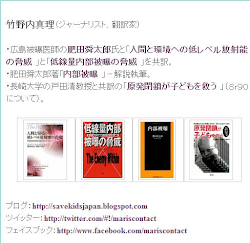 Moreover, why did IAEA hire Dr. Yamashita, who was Dr. Shigematsu’s surbordinate’s disciple (please see the connection between Dr. Shigematsu and Dr. Yamashita here http://savekidsjapan.blogspot.jp/2013/01/japan-victim-and-perpetrator.html)? Though Ukraine Health Department acknowledged the steep increase of children’s thyroid cancer in 1989, three years after Chernobyl, IAEA denied any health damage increase until 1994. This means that as long as five years have passed since the report from the Ukrainean schientists and during this time, there should be numerous residents who were unnecessarily exposed to radiation. Regarding this, does IAEA have any intention to make formal apology and compensate the residents for their adverse health consequences due to the underestimation of the radiation effects? According to Day’s Japan, it is said that researchers in Ukraine and Belarus cannot criticize IAEA since research funds are provided by IAEA, of which decision influences World Bank. I strongly believe that people’s lives and health issues should not be garbled due to money. 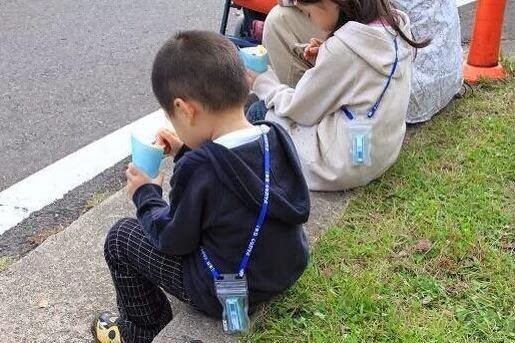 (Sadly enough, in Japan, such practices have been underway victimizing children’s health!) Is this true? In year 2000, the then Secretary General of UN, Mr. Kofi Annan stated that seven million people were affected by the accident and three million children require physical treatment in the foreward of UN Office for the Coordination of Humanitarian Affairs (OCHA)2000 http://ochanet.unocha.org/p/Documents/Chernobyl_2000.pdf　However, against this tremendously important statement, the then UNSCEAR chair, Mr. Lars-Erik Holm bruntly denied Mr. Annan’s concern. http://mailman.mcmaster.ca/mailman/private/cdn-nucl-l/0506/msg00011.html How could this happen? Does this case show that international nuclear related organization has more power than OCHA or even the Secretary General of the United Nations? Mr. Holm is currently a Medical Officer of Health for Sweden and also have worked as Director General of the Swedish Radiation Protection Authority, Chairman of the ICRP, Swedish Representative of UNSCEAR, a member of the Commission on Safety Standards of then IAEA and a member of the Board of the Swedish Nuclear Power Inspectorate. Mr.Lars-Erik Holm announced that there were only 30 death toll after Chernobyl accident, but he has never apologized about his mistake, and on the contrary, he criticized Mr. Kofi Annan as in the above. Isn’t this an act of wrong-doing? Also, isn’t it contradictory that a single person could obtain such multiple posts as nuclear promotion agencies and health protection agencies? Dr. Yuri Bandazhevsky, renowned pathologist who conducted even autopsies on Chernobyl victims in contaminated areas found out that cesium incorporation in bodies at even 10Bq/kg could lead to abnormality of heart. He stated that it was a concerned matter that Japanese children’s cesium concentration reached 20-30 Bq/kg, since myocardial cells tend to accumulate more radiocesium more than bodily average and it could be as much as 10 times high as in the case of children. What is the reason that IAEA has been ignoring his most important study for years? Isn’ t it the case that his studies were so damaging to the promotion of nuclear power that IAEA denied him while ignoring the ongoing children’s health hazards in contaminated areas after Chernobyl accident? In Belarus ETHOS project in which residents in contaminated areas voluntarily participated in measuring radiation in their land, food and their bodies, consequently, children’s health in those areas was tremendously deteriorated, which was the most devastating damage. ETHOS was conducted by a French NGO, CEPN funded by French nuclear promoting organizations, EDF,IRSN, CE, AREVA. The leader of this ETHOS project was Mr. Jack Lochard, an economist who was involved in writing the 4.5 Relocation section of 1991 IAEA International Chernobyl Project, in which he asserted the need to raise the standard of relocation through cold cost-benefit calculation. As a consequence, a large percentage of children in contaminated areas lost their health, and in spite of this grave situation, IAEA has been promoting ETHOS project. Don’t you think this is solely inhumane way of tackling radiation issue? Before you took the office of Director General of IAEA, the cable to the US government was leaked and you were descrived as “he was solidly in the US court on every key strategic decision.” Is this true? If this was the case, isn’t this quite problematic considering that the US is the country which dropped two A-bombs on Japan as Mr. Obama described as the US has the moral responsibility, and that the US introduced nuclear power to Japan through CIA strategy using CIA agent Matsutaro Shoriki (former Yomiuri Shinbun president and the founder of Nihon TV)? Unbelievably, Japanese government is trying to export nuclear power plant using a part of quake reconstruction budget. Is IAEA supporting this move? Don’t you think export of nuclear power, which is hard to manage even among developed countries, could leave a devastating damage once an accident took place especially in earthquake prone country such as Turkey? In your speech dated on March 12, 2012, you stated, “Now we have found out the reasons of the accident,” but in reality, the many of the reasons of the accident does not seem to have been identified. After the Fukushima accident, a complex disaster of earthquake, tsunami, and nuclear disaster, the Japanese government has solely been focusing on tsunami and station blackout, for which only electric generators and higher seawalls are prepared. Isn’t this insufficient? In the reactor 1, there was a high dose leakage of radiation from the night of the earthquake, which should have been caused by some breakage of piping system. In reactor 3, there was a drastic decrease of pressure, which again, a breakage of piping system is highly suspected. There were both before the hydrogen explosions in both the reactors. Considering this, don’t you think earthquake resistance issue is an urgent issue to be tackled, do you? Regarding the Ohi nuclear reactor No 3 and No 4 currently under operation, the government plans to install hydrogen removal equipment in 2013, and filtered vent and base-isolated building is to be installed in 2015, and the residents’ evacuation plan has not been fully planned. In addition, according to Nikkei Newspaper dated on July 7, 2012, Kansai Electric Company suspended the 6 thermal power plant, 3000MW in total, equivalent to 3 nuclear power plants. Though there was no electric shortage, the government decided the restart of the power plant. Not only this case, if you look at the annual data of Central Electric Power Council, Japanese installed capacity of thermal and hydro plants has been sufficient without nuclear, but still the government forcefully constructed nuclear power plants one after another even though there were strong residents’ opposition (sometimes with court trials) concerning earthquake. Why has it been like this? On June 4th2012, in the press conference, reportedly you stated that the Japan as implemented various kinds of safety measures including the stress test in Ohi after Fukushima accident and showed some understanding on the reopening of No. 3 and 4 reactors. However, acceleration resistance limit of the Ohi NPP is 1260 gal, and the observed maximum acceleration in Great East Japan Earthquake (2011) was 2933, and the one in Miyagi Iwate Inland Earthquake (2008) was 4022 even though there was no active fault found before the earthquake. Don’t you think the predicted maximum acceleration is way too low? Moreover, don’t you think there is no NPP which can be restarted safely considering the actually measured 4022 gal in a region where there was no active fault found? As in the above, it is the basic preposition that there should not be any NPP in Japan which can be restarted. In addition, in case of Ohi NPP, the research team of Japanese Nuclear Regulatory Comission could not deny the possibility of F-6 active fault in the site which may have moved 130,000 to 120,000 years ago and above this F-6 fault, emergency water intake pipe is built. It is stipulated that no safety related facilities should be built above active faults and considering this, don’t you think Ohi NPP’s operation should be immediately halted? Some experts even say that there are 3 active faults in vicinity and there could be the joint movement in case of the earthquake, and NRC demanded Kansai Electoric Power Company (KEPCO) to investigate, but according to April 30, 2013 report, amazingly, KEPCO turned it down. Moreover, there is a fracture zone (fault in soft foundation) is located directly below the reactor core, and there could be the situation where the control rod cannot be inserted fully in the event of an earthquake. In case of failure of control rod insert, there could be the immediate release of massive amount of radioactive materials, which would expose tens of millions of people in the area with some big cities. What do you think of this possibility? Also, considering that there was a tsunami more than 14 meters high in 1983 Central Japan Sea Earthquake, don’t you think 8 meter sea wall is totally insufficient in Ohi NPP? Regarding newly founded Nuclear Regulatory Commission, many people raise their concern regarding the selection of the Chief, Mr. Shunichi Tanaka along with Dr. Shunichi Yamashita (Many call them, “2 problematic Shunichi-s”). Mr. Tanaka is from the very pro-nuclear society who used to be the director of Atomic Energy Society, the acting director of Cabinet Office Atomic Energy Commission. He once stated, “If we set life-long accumulated figure upto 100mSv per life, most people in Fukushima cannot raise their kids in Fukushima, so please be cautious when you try to decide life-long figure.”He seemed as if he would force even children to tolerate more than 100mSv in Fukushima. Also, Mr. Tanaka made a speech in Fukushima ETHOS Date Dialogue seminar, stating the following unscientific controversial remarks　which would endanger Fukushima residents. “Neverthless, people in Fukushima have to live in Fukushima!”“Decontamination is inadequate for recovering immediately such an　environment as people live comfortably, and are enforced to live under somewhat higher radiation level for a long time.”” To have the robust resolution and action for　taking back our home town by changing the　anger(impatient) to energy for recovery.”　“To overcome the feeling of casualty. Only blaming of the responsibility is insufficient and useless　for recovering the environment of Fukushima.”http://ethos-fukushima.blogspot.jp/2012/03/syun-ichi-tanaka-radiation-safety-forum.htmlMr. Tanaka was also an strong opponent when the food radiation standard was reviewed from 500Bq/kg to 100Bq/kg. Don’t you think an unscientific person like him should not be the NRC chief? I am afraid the countermeasures in case of another nuclear accident is not sufficient. (As a matter of fact, if there is another major nuke accident, that could be the end of Japan!, so this countermeasure itself should not exist..) According to NRC, it stipulates in case that air dose reaches 500 micro Sv/h, people would be evacuated, but this figure is more than 10000 times higher than average level and reaches 1mSv in only 2 hours. Don’t you think this is too high? Also, NRC is planning to distribute iodine tablets only in 5km radius of nuclear power plants. Again, isn’t this too insufficient? http://www.guardian.co.uk/world/us-embassy-cables-documents/215499?INTCMP=SRCH”As I wrote in my letter in the end, Mr. Taniguchi was not responding me well when I visited all the way to IAEA Headquarter in Vienna in 2002, raising the issue of Japanese nuclear power and earthquake particularly focusing on Hamaoka NPP and Tokai Earthquake. He just asked me, “By doing these things, can you make living yourself?”and it didn’t seem to me that the nuclear safety in Japan with regard to earthquake resistance had not been improved. I am afraid that the IAEA Office of Nuclear Security has not been functioning sufficiently even today considering Ohi NPP issue and others, am I not correct? This year marked the 10th anniversary after the 2003 Iraq War, and lots of child leukemia and congenital malfunctions have been reported not only Iraqi children but also US veterans. Don’t you think DU belongs to nuclear material and DU weapon belongs to nuclear weapons? Then, isn’t it necessary for IAEA to appropriately manage DU and make investigation on health hazards? Also, don’t you have any plan to ban DU weapon as radiological (nuclear) weapon? According to a former WHO official, Dr. Michel Fernex, in 1956, when WHO convened geneticists and asked a question, “How could radiation affect human body?” their answer was, “nuclear industry will increase the environmental radiation, which will result in alternation among general public. It is not only harmful for each individual, but also the harm will be transferred to their offsprings.”However, only one year after this report, IAEA was established with its Statute, “The Agency shall seek to accelerate and enlarge the contribution of atomic energy to peace, health and prosperity throughout the world.”In 1959, the Agency concluded an agreement with WHO (Agreement WHA 12–40), by which WHO is under control of IAEA and cannot independently work on radiation health issues. What do you think of this situation? To begin with, isn’t it the case that IAEA cannot hold neutrality on nuclear policy and on radiation protection measures since it is placed directly below UN Security’s Council, consisted of 5 nuclear states, all of which conducted nuclear testing in the past which altered the radiation level of the entire planet and have been strongly promoting nuclear power worldwide? The very existence of nuclear power plants which contains thousands of Hiroshima A-bombs could be a threat to human beings and the environment. Without nuclear weapons, if a nuclear power plant is targeted from the air, or even without such attack, if a plant is damaged by natural disaster such as Tsunami and earthquake, that could be the devastation to the entire nation such as Japan and Taiwan, small earthquake prone countries. Through seriously thinking on these issues, don’t you think nuclear power plants should not be existing on this planet? Below are the 27 questions sent to IAEA Headquarter. However, in the final version, I separated the question saying, "why Ohi NPP was restarted in spite of insufficient readiness in spite of excess capacity, after suspending 6 thermal power plants?" Thus the total number of questions are 28, but the contents are the same. To this, I got a reply of courtesy from Mr. Gas, the director of Public Information in IAEA and he stated that the member country has the mandate for these decisions and also kindly suggested me to contact UNSCEAR, and I was able to see the person, which was fruitful. However, I was rejected for the meeting with IAEA. However, as for the nuclear power safety issue, IAEA should be the only mandate international organization and I requested again saying, "
Thank you for your request, but I'm sorry to report that we will be unable to accept your invitation for an interview. I hope that perhaps our Web site will offer you the information you're seeking, as it has extensive factual information about the accident and up-to-date details about the IAEA Action Plan for Nuclear Safety. ﾂWe also continue to work with Member States of the IAEA in preparing a comprehensive report of the accident.